This delicious vegetable (technically a fruit) is part of the nightshade family – known as Brinjal in South Africa, South Asia & Southeast Asia or Eggplant in America, Canada & Australia or Aubergine in most other countries. Because of it’s full flavours – it is often used as a meat substitute… and that is why we are please to share with you these recipes from some of our bloggers. Michelle from Very Hungry Explorer made a Black-eyed bean Moussaka which looks amazing. While Céline of Cuisine Céline shared a pasta dish of Penne with Aubergines & chickpeas. And Tine of Tine At Home (who has recently relocated to Ireland) creates a carb free meal of Zucchini noodles with Eggplant & oven roasted tomatoes. 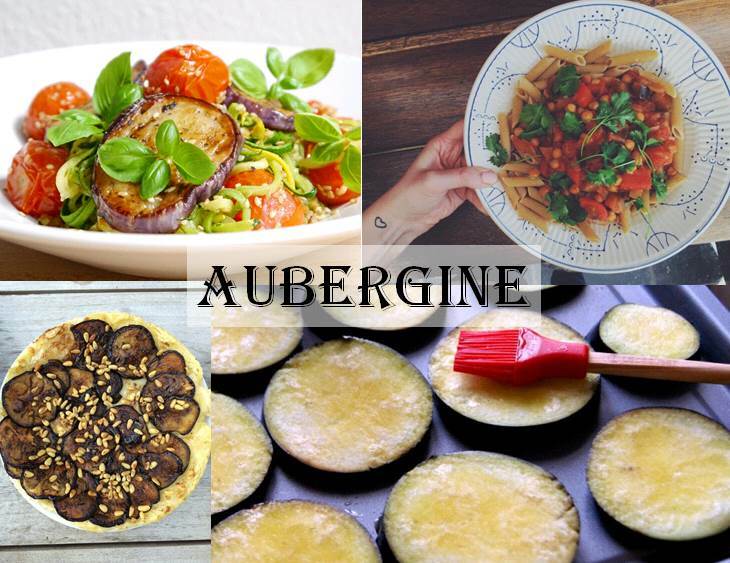 Do you have an Aubergine (Brinjal or Eggplant) recipe that you wish to share with us? Just add the link to the comments section below! So glad you liked the recipes. I am definitely going to try the Zucchini noodles, sounds very yummie!